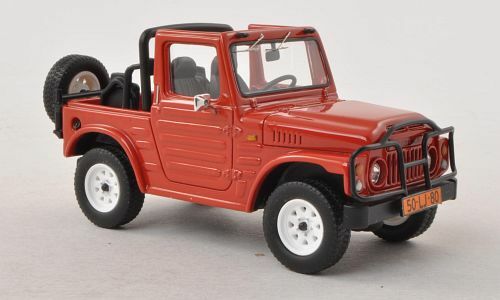 Since a week, there is a new Die Cast model of the Suzuki LJ80 for sale! It’s a very nice model with lots of details. Yesterday i was visiting Leon, Ils and Jesse to pick up some parts for my LJ80. It turned out a little meeting, because Piet & Dagmar, and Erwin also went by for some parts, a little talk and drink coffee! I picked up a electronic ignition from a Suzuki Samurai, which i directly mounted on the LJ80. WOW, that was easy! Within 10 minutes the job was done! First thing noticed is that my LJ80 runs much smoother stationary! And on the way home (late afternoon) the engine was running smoother as normal also. It starts better, and it takes less more time to get the 100 km/h on the clock! Wow, i should have done this mod years earlier!